The term 'hi-fi accessory' covers a very wide range of products, from something like a green CD pen, to high-quality speaker stands for stand-mount speakers. The first being of questionable necessity, while the second is almost mandatory. VertexAQ (hereafter Vertex) supply a range of 'hi-fi accessories' although they don't like to use the term as it really gives the wrong impression of what their products do. Perhaps we need to find a new phrase to differentiate between the green pen, and the speaker-stand, the 'may do' and the 'will do' if you like. In this review, we will see which category the Vertex products would fall into. I must start by declaring that I have corresponded with John Cheadle of Vertex for some years, and met him and his partner, Steve Elford, once when I visited the Bristol Hi-Fi Show a few years back. Then, they were demonstrating the Vertex range, and I popped into their room for a quick listen. The system was already set up, and it was a hotel bedroom, so other than noting that it didn't sound bad in such circumstances, I couldn't form much of an opinion on their products. Since then the Vertex product range has expanded, and when I was offered a chance to review most of the range, I jumped at the chance. Hi-fi accessories and tweaks fall into two categories, those that come with some sort of plausible explanation, and those that don't. The Vertex products do come with an explanation of how they work. However, because they truly break new ground (and not only in hi-fi) many may be tempted to dismiss their theories as unscientific. The theory behind the Vertex technology is in fact in the public domain although you have to know what to look for. This technology comes originally from research in the aerospace industry into wideband ultrasonics, and is very much based on scientific principles rather than black magic or hype. Vertex initially considered using their knowledge to build hi-fi components like CD players but understanding the huge risks involved, decided to concentrate first on hi-fi 'accessories' as they hate to call them. The ideas behind the Vertex technology originally came from Steve Elford's work within the aircraft industry. But it has taken another ten years for he and John Cheadle to fully understand how that knowledge could be utilised for the benefit of hi-fi. As pioneers of their technology in hi-fi, they have had to learn much as they have gone along, and have spent thousands of hours of experimenting, listening, and refining their products. Even today, with a vast range of products to cover all parts of a hi-fi system, they believe that there is still more to discover. A full explanation of how the Vertex products work is not available for obvious reasons. I will have to confine myself to a simple explanation, based on what Vertex can tell us without giving away their secrets. The starting point of the Vertex technology is 'acoustic noise'. This is not just the RFI that we try to prevent from getting into our systems, it is noise that is present in all electrical systems, 'self-generated' for want of a better term. Vertex use the analogy of an approaching train where you hear the rails rattle, some time before the train arrives. Having identified this noise, Vertex set about finding ways to eliminate it. This proved to be more difficult than was first imagined because stopping, or blocking, the noise in one part of the system will send it elsewhere. As they progressed, Vertex found other problem areas of the hi-fi system that needed treating, and developed additional products to do just that. What has emerged is a range of products that treat the fundamental problem in a number of ways. Not only have they found a way to block the acoustic noise, they have found a way to remove it from hi-fi equipment, and finally they have found a way of preventing the problem 'jumping' from part of the system to another. While all the products are claimed to make a clear improvement, and you can use one or two to good effect, the products are designed to work as a complete system. And rather than let you just buy odd products in any order you fancy, Vertex offer guidelines for the correct order of adding their products to your system to gain the maximum benefit at each 'step'. Vertex also make some effort to train their specially selected dealers in the correct way of demonstrating the products such that a potential customer can hear clearly what each item does, and how it works with their other products. And because the Vertex products make radical changes to systems, dealers also need to be trained in advising their customers on issues like how to redress changes in the tonal qualities of their systems. Likewise, Vertex are not happy just to send their products to a reviewer, they prefer instead to deliver them and spend some time going through the correct process of demonstration. So it was that John Cheadle arrived at my home with a car-boot full of boxes containing most, but not all, of the Vertex product range. With the boxes unloaded, and unpacked, we were ready to start the demonstration. I had 'prepared' my system for the demonstration by removing my own equipment platforms and one or two other 'devices' that improve its performance. I even abandoned my dedicated mains supply, instead running a trailing socket from the ring main. 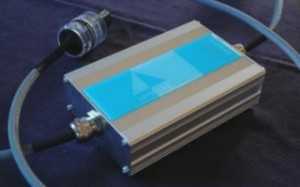 The system to be used for the demonstration consisted of a Slim Devices Transporter, feeding a Burson PI-100 amplifier via a Burson Buffer. Speakers were Hawthorne Audio Duet clones. There is also an active crossover, feeding another amplifier to power the woofer section of the Duets. I had also made up a play list of tracks that I use most in my reviews, one of the great advantages of using a streaming device such as the Transporter or Squeezebox! The demonstration started with us listening to the system as it was. I went through a few minutes of each track on the play list. After the last track, the first product, a Silver Jaya mains filter was plugged into the trailing socket. 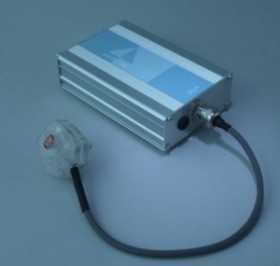 The Jaya, a shunt-type mains filter, is designed to clean up the mains by removing radio frequency interference (RFI) from the mains supply but it also removes some of the wide-band acoustic noise too. The Silver Jaya works over a wider range of frequencies than the standard version. I had been wondering how easily I would be able to detect any differences with the Vertex products but I needn't have worried. From the moment the first track started playing, it was impossible not to hear the improvement. Every aspect was improved. bass tightened up, the top end was clearer. The sound stage larger, and timing improved. In fact I thought to myself, it would be a hard act for any of the other Vertex products to make much more improvement. Next up was the Super Kinabalu equipment platform, complete with the standard Vertex coupling system. This went under the Transporter. Once again, the improvement was obvious from the moment I pressed the button on the remote control. Again, the improvement was in every part of the sound. Although every element of the music, the vocals and instruments, were more clearly defined and separated, the coherence of the music was improved as well. The standard 'kettle lead' plugged into the Transporter was then replaced by a Silver Roraima mains lead. The Vertex leads differ from all other hi-fi cables in having a 'noise-blocking' device that prevents the noise in the system moving between equipment via the cables. Once more the improvement was immediately perceivable. The sound stage was growing larger with each step. On some tracks, the singers and instruments were clearly perceived as growing larger too. Bass was clearly deeper and better defined. And by now the sound stage had got deeper, with the elements at the rear of the sound-stage becoming more tangible. 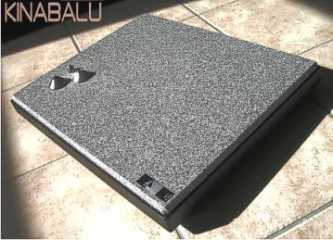 A second Super Kinabalu equipment platform and support system was then placed under the Burson amplifier. Yet again, the improvement was clearly audible! And once again just about every aspect of the sound was improved. It does appear that while some 'tweaks' improve one element of the sound, the Vertex products improve all aspects. By this stage, I could hardly believe the improvement in the system but there was more to follow. The next item to be replaced was the standard mains lead to the amplifier with a Roraima standard mains lead. Once again, I could easily detect an improvement. By this time I was getting a strange sensation on some tracks where there were short gaps in the music. For example, one such track was from the Gwyneth Herbert and Will Rutter album, 'New Songs'. At the start of track 4, 'Strange Young Men', there is a slow drum beat, a second or two of silence, and then another drum beat. With the noise floor lowered so much, I was getting the illusion that the hi-fi had actually stopped playing. If you have heard a hi-fi with such a low noise floor, you will know what I'm talking about. Then came the Vertex interconnects, the Silver Solfonns, that went between the Transporter and Burson Buffer, and between the Burson Buffer and Burson amplifier. Before installing the Silver Solfonns, John Cheadle demonstrated to me, with the aid of a stethoscope, just how effectively the 'noise blocking' on the Vertex cables is. Anybody who experiences this demonstration can be left in no doubt that the Vertex claims are based on hard fact! By now I had abandoned any doubts that I may have started off with and sat back to hear the next stage of improvement. And I wasn't disappointed. Again it was not something that I had to strain to hear. I didn't need to play the same track three of four times to be sure. There was clearly another general improvement. John Cheadle had warned me that at some stages of the demonstration, I may perceive some aspects to be worse rather than better. This situation can be caused by one of the Vertex products 'closing a door' in one part of the system but 'moving the problem' to another part of the system at the same time. I honestly don't think that I heard anything getting 'worse' during my demonstration but I did notice aspects of the sound changing. For instance, on one track, 'The Trolley Song' by Stacey Kent, there is a saxophone solo and I distinctly heard the location of the saxophone move further away from Ms Kent with the first few 'upgrades'. Then it moved slightly back the other way at one stage, before going even further away from the singer with the next 'upgrade' as the sound stage expanded again. I should make it clear that none of the Vertex products can or will degrade the sound of a system. But they will make improvements depending on where they are used that may show up shortcomings in another part of the system until that part is also 'treated'. You may have guessed that the next part of the system for treatment was the speaker leads. Out of their box came the Moncayo cables, at first sight, looking like much larger versions of the Vertex interconnects. As the speakers are biwirable, I was asked to remove the existing links, short lengths of speaker cable, and replace them with the Vertex links that add (further) noise blocking between each section of the crossover. At the risk of sounding a little boring by now, I have to report that yet again there was an audible improvement in the sound. With the addition of each product, the sound gets better in much the same way, presumably because the products are all doing the same job, just in different parts of the system. By now I was noticing specific areas of improvement. The timing was much improved with an almost irresistible urge to tap my foot. Leading edges of notes were much better defined. It was also much easier to discern the attack, sustain, and delay of individual notes. This was particularly obvious on the track I used from the Dafos album. Gongs for instance sounded more 3D, and the sound they produced was more tangible. It was easier to perceive the location of an instrument in the sound stage. There appeared to be almost more time between notes, almost as though every element of the music had been magnified many times so it was all much easier to 'see' into. Both top and bottom ends were much improved with the frequency range appearing to be extended. The sound is rock solid, no matter how complex the piece of music. When we started the demonstration, the Tibetan horns on the Dadawa track 'The Turning Scripture' from Sister Drum, sounded much like bubbling gas. At the end, each note of each horn, was clearly audible. Vertex make two coupling systems for use with their equipment platforms, the standard coupling system that I was listening to, and their Hi-Resolution system. So the next step was to replace the standard coupling tripod under the amplifier with the Hi-Resolution one. Quite how something as 'simple' as a piece of metal between the equipment and platform can make a difference is hard to comprehend but there was a clear improvement again with the Hi-Resolution tripod. Of course, it is not a simple piece of metal as is borne out by listening to the difference that it makes compared to the standard coupler. But we were still not finished. Out came two 'boxes' with a wooden plinth and three wooden feet, named Picos. These are about 13 cm square and 10 cm deep and were placed on top of each speaker. Surely something that was not 'connected' to the system could make any difference. But I only needed to play some music to hear that it did. Yes, even with these open baffle speakers it was somehow making an improvement. I know it's hard to believe that, and I am not sure that I would have if I had not heard it with my own ears. Apparently the Picos 'draw' vibration out of the speaker structure, and I can confirm that seems to happen as I tested the claim by placing my hand on the top of the speaker with and without the Picos in place. Finally, out came a second Jaya mains filter, the 'basic' model and we plugged it into a spare socket on the other side of the room. Almost with relief, I didn't notice any difference at this stage although John Cheadle suggested that I could experiment with where it was plugged in. I later moved the Jaya to a socket adjacent to my music server PC and did notice a very small, but definite improvement. In fact, you can plug the Jayas in adjacent to other equipment like computer monitors and televisions, and actually see an improvement in the picture! It's a good way to see what the Jaya is doing because with a monitor picture you can actually see that it reduces the grain, just as it does with the sound in a hi-fi system! If the Vertex products seem to good to be true, they don't leave you in much doubt after you have auditioned them! If you are wondering what is going on when you add Vertex products to your system, most of it can be summed up as a substantial lowering of the noise floor. For those of you who don't understand this concept, I'll use the analogy of light instead of sound. Imagine that you are in a room with some sort or image projector, eg a TV projector, or a slide projector. Instead of a noise floor, we have a 'light floor', ie the amount of ambient light in the room. The darker the room the clearer the projected image. If you try to watch the image with the light on in the room, it won't be very clear. By turning off the light (assuming there is no other source of light) you will be lowering the 'light floor' and improving the image. And that's what the Vertex products are doing, reducing the 'unwanted' noise so that the 'wanted' sound is clearer. When this happens you don't just hear the sound as being clearer, but all the subtle details of the recording are much better able to help your brain discern things like sound stage, imaging, timing etc. You would be surprised at how much information your system could give you, if only that information wasn't masked by the 'noise' of the system. But there is more to the Vertex phenomenon than just lowering the noise floor. By preventing the unwanted acoustics from travelling around the system, the signal is not only kept unpolluted, but the inter-modulation that is normally taking place is dealt with too. Up to now. when we have encountered microphonics in a hi-fi system, we have tried to deal with them in isolation, for example, with a valve where we may use a valve damper. Vertex have realised that microphonics is a system-wide problem, rather than an issue with a few isolated components, and have designed their products to treat the problem holistically. I was left to enjoy, and play around with, the Vertex products for a couple of weeks. After a few days Steve Elford rang me to ask how I was getting on. I told him that it all sounded so much better than without the Vertex stuff that it was still hard to believe. But, I had noticed that the tone of the system was now slightly darker. To my amazement, he replied that he was fairly sure that he knew what the problem was and how to fix it. He said that they would send me a set of the hi-resolution couplers to go under the source (Transporter) instead of the standard couplers. Sure enough, when I changed over the couplers, the tone got lighter again. For instance, if there was any tape hiss on a recording, it was now much more audible. When I reported back that the hi-resolution couplers had 'worked' I was assured that this was no lucky guess but the result of so much experimenting with so many systems, and keeping records of what they had learned. The effects of the Vertex products in my system are so stunning that I would have been very worried if I had been the first reviewer to write about them! Fortunately, several other respected reviewers have gone before me so I have no apprehension about writing this review, safe in the knowledge that at least some knowledgeable people will not think that I have lost my sanity and been duped by some amazing marketing ploy. Put simply, using my usual phrase, the Vertex products do exactly what they say on the tin. They remove this ultrasonic noise, that although it is not audible, is present in all our systems, raising the noise floor, affecting timing, blurring detail, and generally degrading the performance of hi-fi, whether it be budget hi-fi or top-of-the-range audiophile items. It won't make a poor system great but it will make a good system(much) better. So is this all too good to be true? Well, yes and no depending on your financial situation. The Vertex products are not 'cheap' although given their performance they are worth every penny. In order to squeeze the last bit of performance from each product, Vertex has adopted a no-compromise approach to building them. And materials like the specially selected granite, pure silver wire, and high spec components don't come cheap, particularly when bought in smaller quantities. Vertex insist on Furutech mains connectors, locking WBT phono plugs, locking banana plugs, and high grade spade terminals. The housings are made specially for them. Then there is the time involved in constructing the products. For most of the items, construction by hand is the only option. And most of this work is complex and time consuming. For reasons that should be obvious, the work cannot be contracted out, and for the same reasons, it is not an option to employ staff at this time. And then we should also figure in the 20 man-years of research work that went into developing the present range of products. All these factors should explain why the Vertex products will command the prices that they do. Despite the cost, Vertex are working flat out to keep up with orders. If the Vertex products seem expensive to those of use with lower budget systems, they can also be seen as something of a bargain for those with very expensive systems. A few hundred pounds spent on a Jaya mains filter should produce an improvement in a system that would cost thousands if say one of the major components like a CDP or DAC was upgraded. While I am on the subject of cost, I should say that with the Vertex products, it appears that the usual law of diminishing returns doesn't apply. What I mean by this is that it doesn't seem to matter how many of the Vertex products you add to a system, each one keeps making a substantial improvement. It really is a case of 'if one is good two is better, and three is better still...'! The additional bulk of the 'noise blockers' on the various cables may cause a few practical problems, but nothing that isn't worth making arrangements for given the benefits to be gained. Other than that, and the cost, there really is nothing else negative to say about the Vertex products. On the positive side, you do not need to have all the Vertex products to gain an appreciable improvement in your own system. The Jaya mains filter will almost certainly bring a big performance boost to any system, more so the Silver Jaya that operates over a wider frequency range. After that, I would suggest purchasing the equipment platforms, under the source first, and later the amplifier. Vertex tell me that many of their customers start with one item and then want to add to that when funds allow. Other customers, typically with systems costing tens of thousands, having heard the Vertex demonstration, order the complete system. They have often reported being much more satisfied with their system with the Vertex products installed, and less inclined to constantly change their other components. So there it is! The most amazing product(s) that I have reviewed to date (and did I mention that I didn't even listen to the top-of-the-range platforms and speaker cables?). In his review of the Vertex accessories, Paul Messenger said that adding the Vertex accessories put playing CDs on par with vinyl! Well I played neither CDs nor vinyl in my audition but you can add to those comments that it also elevates the performance of streaming devices like the Slim Devices Transporter as well. Playing 'Dark Side of the Moon' and 'Dreamboat Annie' came very close to my memory of these albums on vinyl! Many have claimed to break new ground in hi-fi technology over the years, making wondrous claims that their products never matched. Here we have a company that really has broken new ground, and have been able to manifest the positive aspects of their theory in their products. We are not asked to believe in earth resonances, nor rearranged air molecules, just that there is a noise problem within electrical systems that can be removed if you know how to. And for once, the proof of the theory is clearly audible in the demonstration of the theory!